Be sure to NOT miss this end of the year extravaganza next year! Our great friend Bill Feuerbach, maker of the Kaywoodie pipe and others, has once again hosted the annual “Kaywoodie Event” Christmas Party and NE Regional Slow Smoking Contest, held this year at the Southern Dutchess and Putnam Sportsman's Association, Wappingers Falls, NY, a change in venue from prior years at the old Kaywoodie Factory (SM Frank Co.) and which took place on Saturday December 13th 2014. 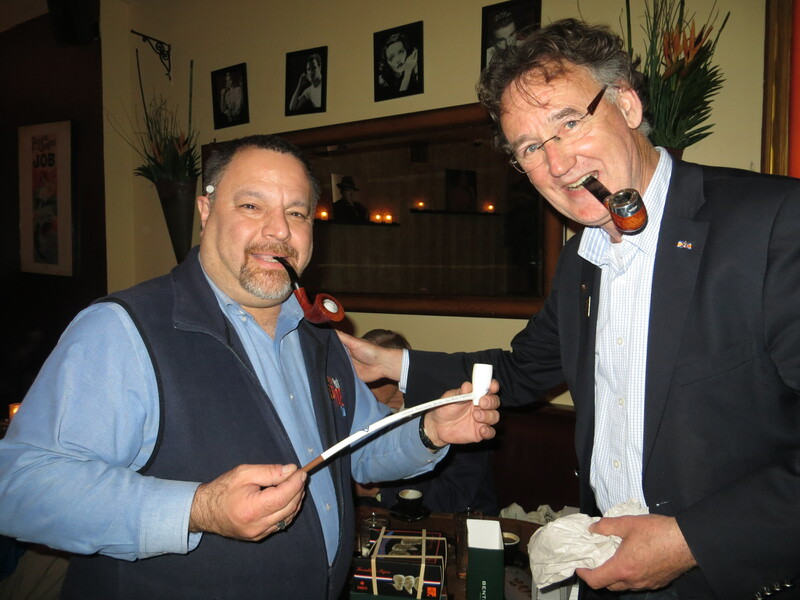 Thank you Bill, Dennis, Tony and hats off to Howie, Sean, Bob, Rob, Joe, Len and the rest of the Hudson Valley Pipe Club guys for all the help in securing the new venue. We hope to have the event at this location for years to come! 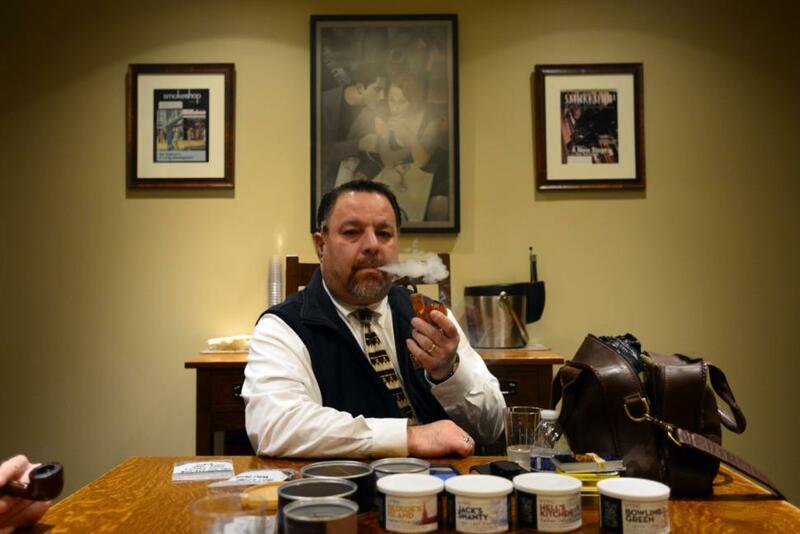 And... congratulations to new reigning champ, good buddy, Les Young of the Christopher Morley Pipe Club of Philadelphia for his Championship performance in the 2014 Northeast Pipe Smoking (Slow Smoke) Contest, a UPCA sanctioned event, where he reigned as King with a time of 1 hour 22 minutes and 58 seconds and unseated two perennial winners! 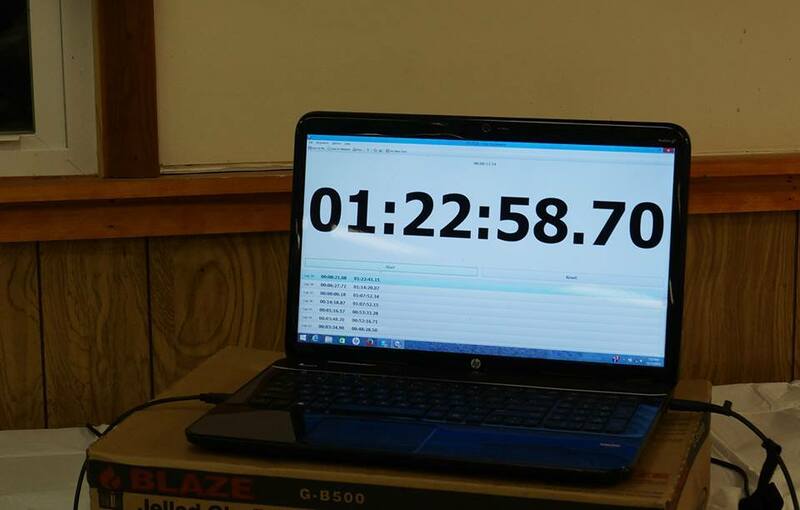 Great job, Les, congratulations and now it's on to Chicago and maybe the world! Please be sure to check out the Photos section of our website as well as our Club's Facebook page for photos and discussion about the event. 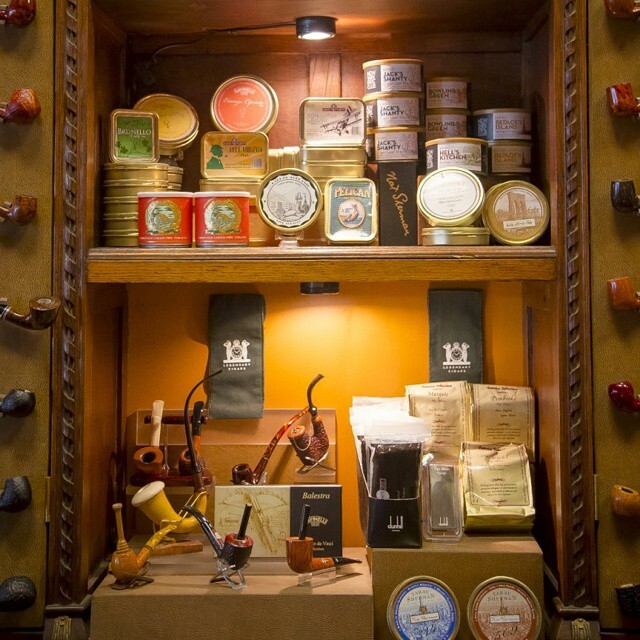 May I extend an invitation to any and all to join members of the NY, Christopher Morley (Philly) & Hudson Valley Pipe Clubs for a "Show and Tell" along with a bite to eat and drink at the smoke friendly and smoking encouraged, JR Cigar, just a short drive on Rt. 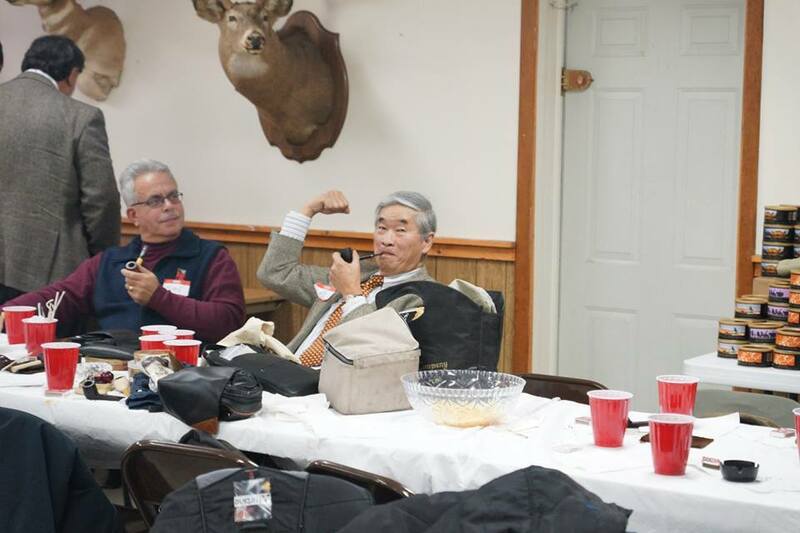 10 in Whippany, NJ, after the show. It has become a tradition for us to head over to JR Cigar after the show (5-6pm) where we can relax in the roomy and comfortable Monte Cristo Lounge dining area and enjoy a smoke, the sharing of tobaccos and be treated to some pretty delicious menu offerings, not to mention live jazz music! We always have a great time! All are welcome to join us after the show. Please be sure to visit our website’s News and Articles sections for some new and important messages such as the announcement of the NY Pipe Show (Newark) on March 7th!!! "On this day we will take a breather and celebrate the noble art of pipe-smoking and the noble spirit which pervades the brother/sisterhood of the briar. We will put into practice the time-honored and ancestral traditions of raising our pipes in toast to each other in the evening in unison and, thus, share a bowl together." 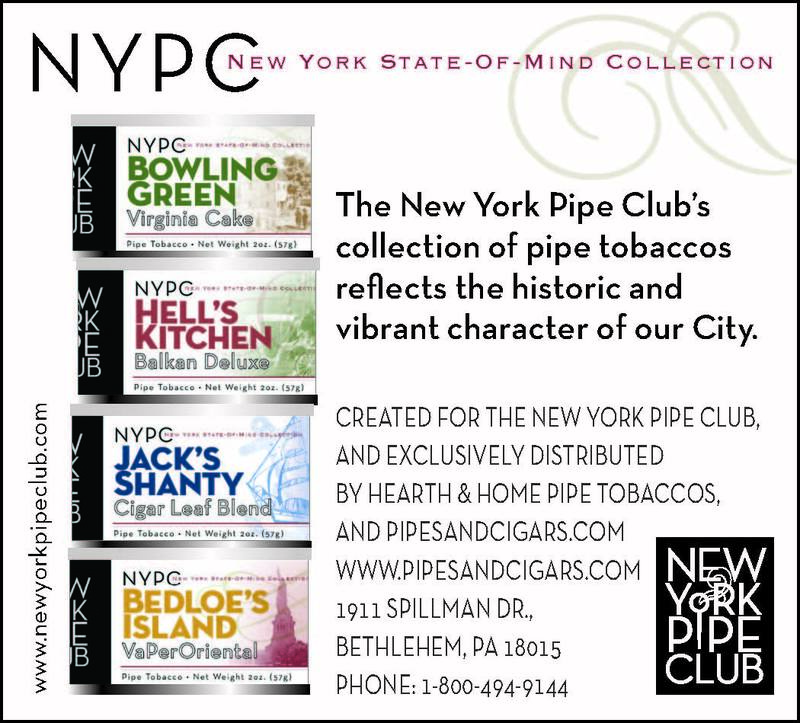 As soon as we at the NY Pipe Club finalize our celebration plans I will get an email invite to you with all the details! To whet your appetite please visit our website's Photos page and search for IPSD to see photos of our past events at De La Concha! I'll also notify you as we get closer to the March 7th date, selected for the NY Pipe Show in Newark, NJ. 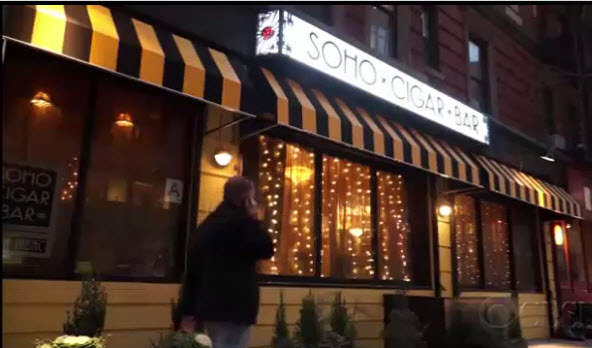 SoHo Cigar Bar (Circa Tabac) Renovations! 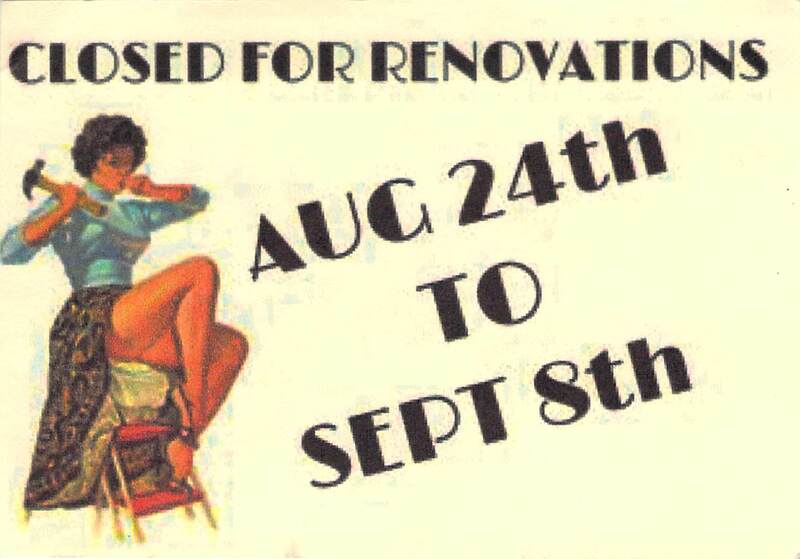 You probably noticed these announcements on the tables at our August meeting informing us that Circa Tabac, now SoHo Cigar Bar, would be closed for renovations from Aug. 24th to Sept. 8th. 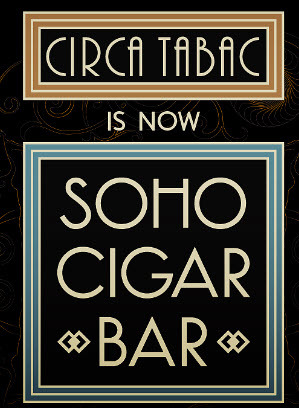 Well, the Grand Re-Opening, "new look" and new name, SoHo Cigar Bar took place on Sept. 9th, the night of our Sept. monthly meeting. The place looked great, was comfortable and I want to thank those who came out as the club took over the entire back section with some spill over into the front of the lounge! We had a fantastic evening! 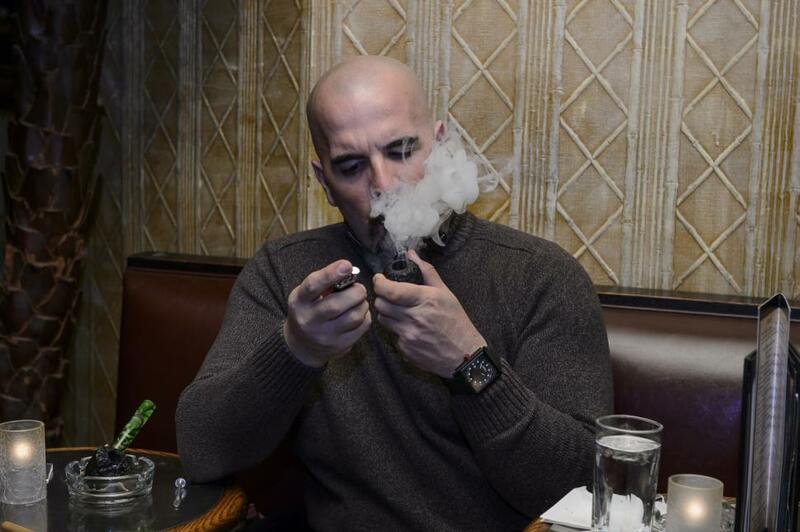 So, make plans to come on out and join us each month starting at 6:00pm and enjoy the newly renovated SoHo Cigar Bar (formerly, Circa Tabac) with the NY Pipe Club, and THANK YOU, Lee for making our meeting home even better and more comfortable than before, we appreciate it! My heart-felt THANK YOU goes out to all of you for your generosity throughout 2014. Again, may you and your families all have a Wonderful Holiday Season and a Prosperous, Happy and Healthy New Year and I look forward to seeing you at our monthly meetings and sharing many bowls with you through 2015! 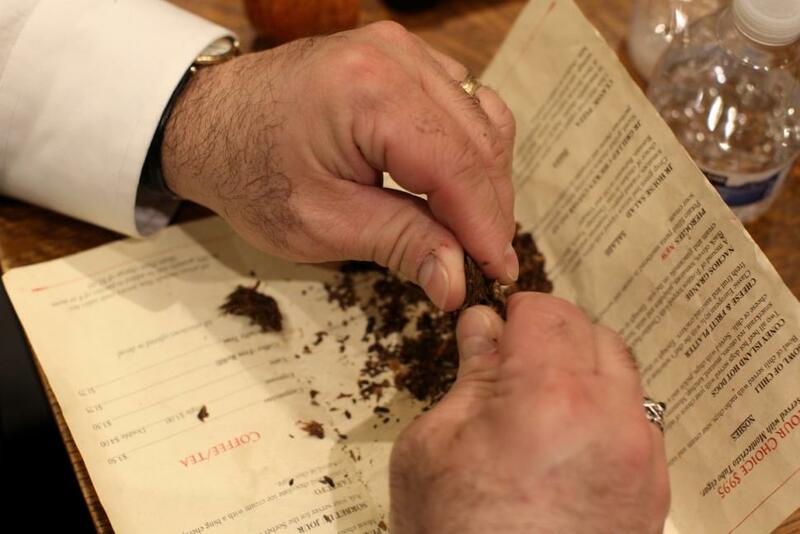 Also, A LIGHTER WAS FOUND AT THE 2014 IPSD CELEBRATION AT NAT SHERMAN'S. IF YOU THINK YOU LOST A LIGHTER, PLEASE CONTACT LOU.